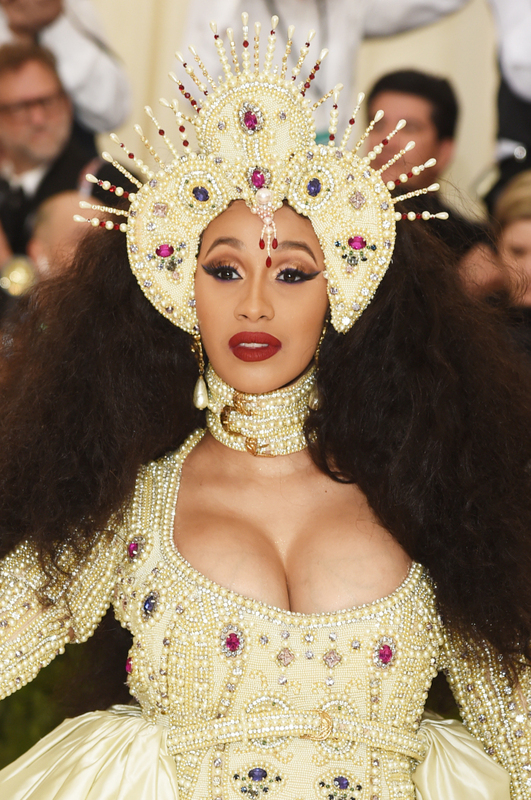 Cardi B literally made our jaws drop at this year’s Met Gala, not only with her fabulous Moschino gown designed by Jeremy Scott but with her ultra-glamorous beauty look, as well. Her makeup artist, the talented Erika La Pearl, fiercely paired purple underliner with a crimson red lip. On top of that, Cardi’s lids were covered in gold shimmer. Her hairstyle was as frizzy as it gets topped with a matching headpiece.